Coral reefs are among the most important, most diverse, and most beautiful ecosystems on the planet – and, in an age of climate change, they are in a period of unprecedented crisis. Warming seas are causing bleaching events on a scale never before seen; of the 109 countries in which coral reefs are found, significant reef degradation has recently occurred in ninety-three. If nothing is done to abate warming temperatures, more than 90 percent of coral reefs are at risk of dying by 2050. This crisis has human consequences. At least a billion people and 25 percent of marine life directly rely on healthy coral reefs for their food and livelihood. Coral reefs also provide disaster risk protection by significantly reducing coastal impacts during large storms – a critical fact in a time when 40 percent of the world’s population lives near a coast. In short: the loss of corals will likely have significant, even catastrophic impacts on marine biodiversity, and on countless communities who rely upon them for food, safety, and income. Fortunately, new, targeted interventions have shown promise in helping slow or even stop coral die-offs, but their applications are time sensitive. To accelerate their use, and other new approaches to global coral conservation, Paul G. Allen Philanthropies has partnered with the Carnegie Institution for Science, Planet, University of Queensland, and the University of Hawaii Institute of Marine Biology to map the entirety of the world’s shallow-water coral reefs in unprecedented detail, and to monitor them for change. 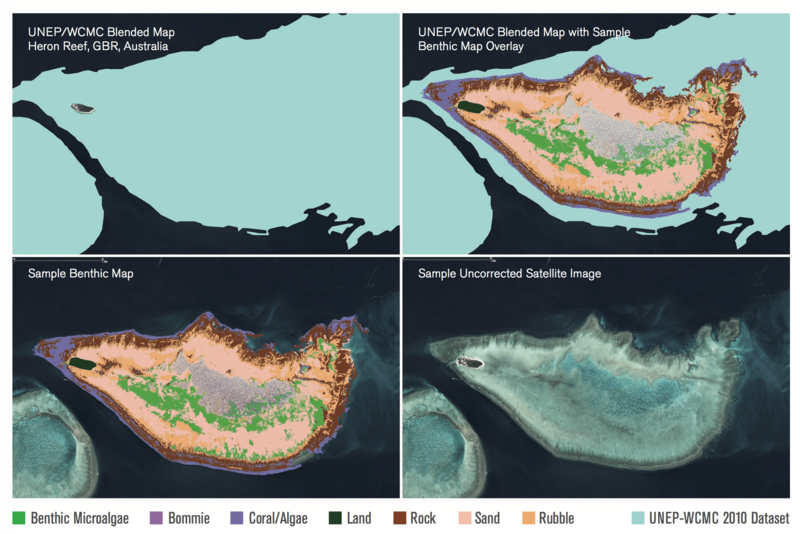 The effort will use a combination of advanced global satellite imagery, field verification, and machine learning analytics, and will form a dedicated global coral observatory that will empower new kinds of coral conservation interventions and new basic science. The first results of this mapping and monitoring mission, including a global 3.7m per-pixel photomosaic of the world’s corals and scientific maps derived from it, will be licensed and made available for free for non-commercial conservation and scientific purposes – a global public good that will ensure the most up-to-date information in the hands of those who need it most. These assets will become available when the project fully launches in late 2018.